Scale indicator selection can be challenging. 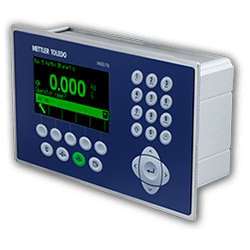 METTLER TOLEDO offers a wide variety of scale indicator, weight indicator and scale controller systems to meet demanding industry and legal requirements and regulations. 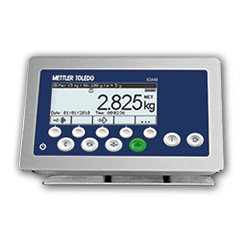 Every weight indicator we sell is global weights and measures approved for legal-for-trade use. 1. What are scale indicators used for? Product offerings include indicators for tank, silo, hopper and bin scales; vehicle scales; bench, portable and floor scales; hazardous-area scales; custom programmable scales; and for OEMs and system integrators. 2. What should I look for in a scale indicator? In rugged industrial environments, only the most durable, well-designed weight indicator can withstand tough conditions while remaining highly accurate and reliable. Flexibility also is important so that it meets your specific process requirements and provides the accurate information you need. Scale indicators should provide accurate, reliable and flexible integration into a manufacturing process. Weight indicators can be customized to meet your unique process needs. 3. How do scale indicators and controllers integrate into my process? Automated applications often require a weight indicator that is capable of integration via fieldbus networks, industrial Ethernet and to control devices. We have you covered. 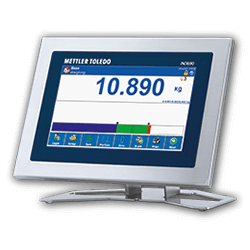 Our scale indicators are connected, accurate and work will software for filling, batching and formulation. 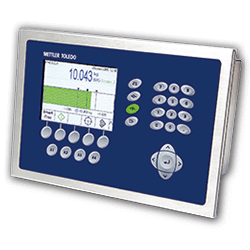 The bench, portable and floor scale indicators are operator-friendly, reliable and offer flexible adaptation into a production environment. They come with an advance human-machine interface and have multi-lingual settings to for maximum operator understanding. Peripherals and MES/MRP are easy to integrate. We even offer scale indicators for advanced bench and floor applications, which require a large graphical human-machine interface, advanced data management and powerful software. 4. Are there weight indicators available for hazardous areas? 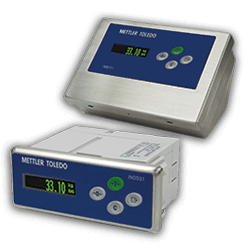 METTLER TOLEDO offers a comprehensive range of hazardous-area approved terminals the ensure safety, accuracy and connectivity for a variety of weighing applications in hazardous areas. A variety of tank-, silo-, bin-, hopper- and conveyor-scale solutions that provide accurate, reliable and flexible integration into a manufacturing process. A wide variety of vehicle and rail-weighing solutions that deliver unrivaled accuracy and reliability, and that are easy to use and maintain. A variety of terminals for bench, compact, and floor scales providing operator-friendly, reliable and flexible adaptation into a production environment. A comprehensive range of hazardous-area approved terminals that ensure safety, accuracy and connectivity for a variety of weighing applications. A programmable terminal for applications requiring customization to meet needs ranging from workflows to data integration with enterprise level software. A complete range of terminals meeting mechanical, electrical and data-integration needs, from compact transmitters to advanced weighing controllers. Weighing can significantly contribute to final product quality and must be considered as part of Quality by Design (QbD) processes. Whether in manual or automated manufacturing processes, weighing results can be statistically analyzed, archived, tracked and traced, integrated into manufacturing and management systems plus used for control-feedback loops. Weighing. It's the most accurate and easy-to-apply measuring method for drum-, IBC- or big-bag filling. This guideline provides you with practical know-how to achieve the best filling results based on gravimetrical measuring. 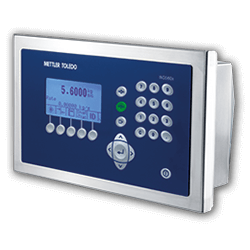 METTLER TOLEDO terminals provide a critical role in the implementation of an accurate and reliable manual or automated filling process.. Efficient transfer of weighing process data to higher level MES or ERP systems can help make manufacturing processes more transparent. Increased transparency can improve asset use, reduce operating costs, and make complying with certification standards or industrial regulations easier..